The Plot Twist, the Italian/Hungarian pop-up that started last year, is back for a night of Italian beers with exclusive selection of Birradamare craft beers (literally means Beer to Love or Beer for the Sea) from Fiumicino, Rome, plus Hungarian snacks like craft sausage with goulash cream to nibble on. This is happening on Friday 19th February at The Shoreditch Arts Club in Leonard Street. Sounds like lots of fun! "Following last year’s successful pop-up events, the mighty Plot Twist is back with an engrossing collaboration. 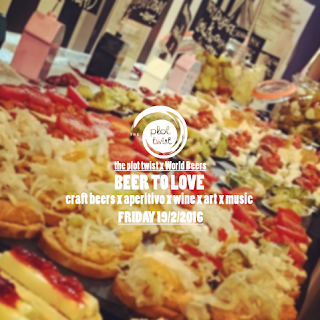 The Italian-Hungarian pop-up bar teamed up with World Beers to celebrate excellent quality Italian craft beers on Friday, 19 February at The Shoreditch Arts Club. 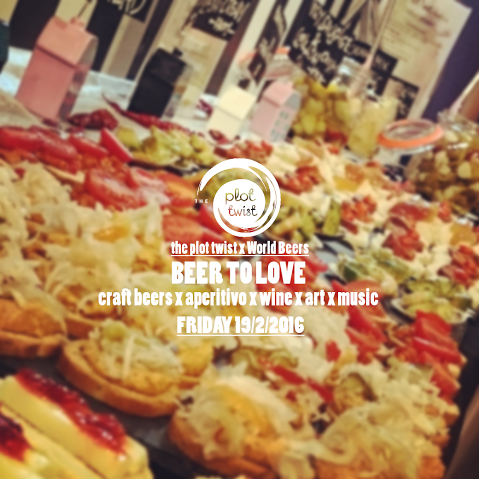 UK beer importers, World Beers, are keen to showcase their exclusive selection of Birradamare craft beers (literally means Beer to Love or Beer for the Sea) from Fiumicino, Rome. Discover and sample 6 exciting tastes (for free) from the coast of Italy through the guides of the World Beer expert. Alongside great Italian craft beers, we will also make sure that no one attending leaves the place hungry – the classic Italian aperitivo with a Hungarian twist is really why The Plot Twist is justly famous. Expect Hungarian craft sausage with goulash cream (hot and mild), avocado salad with prawns, goose fat bite with paprika and onion, pickles, classic bruschetta, cucumber cheese bites and more for aperitivo. Simply buy a drink at the bar and then enjoy a selection of free food to eat as you drink. The Plot Twist does three other things: drinks, art and music. Quality Hungarian wines will accompany Italian classics on the drinks list, alongside bottled Birradamare beers and spirits from both countries. An art exhibition by Maryam Hashemi and a DJ set by DJ Mazuro and Majki will guarantee an unforgettable event."